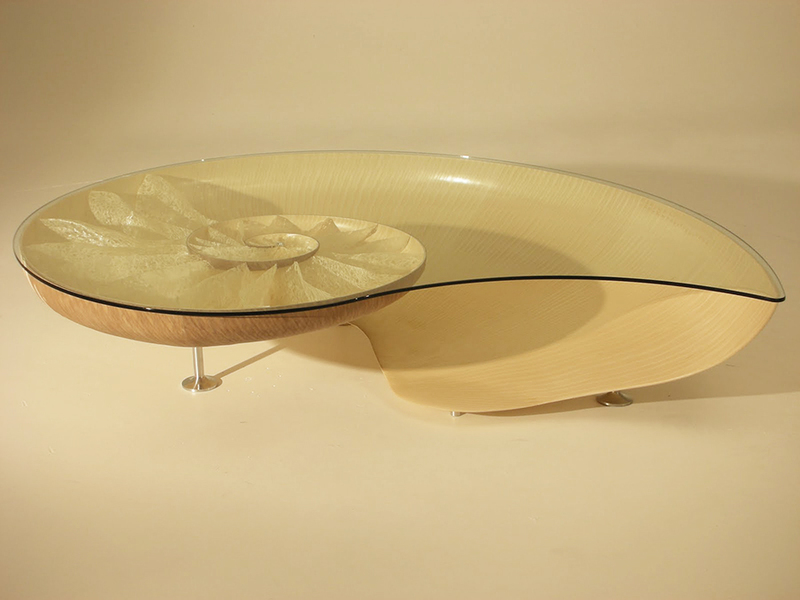 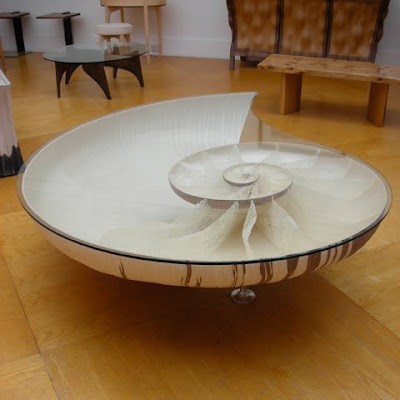 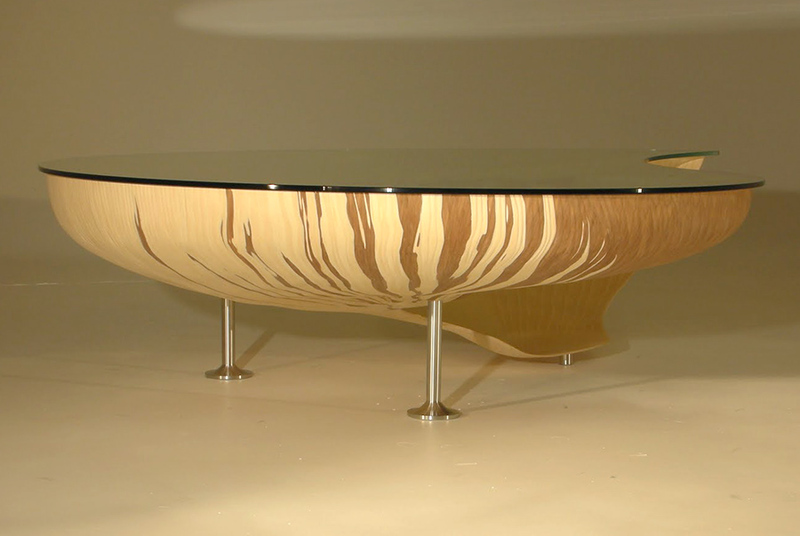 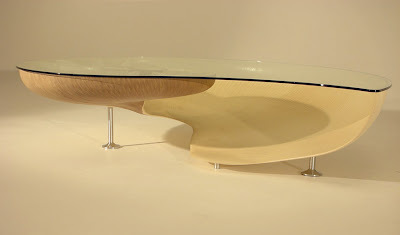 If It's Hip, It's Here (Archives): Handcrafted Sycamore and Walnut Tables Shaped Like Nautilus Shells by Marc Fish. Handcrafted Sycamore and Walnut Tables Shaped Like Nautilus Shells by Marc Fish. 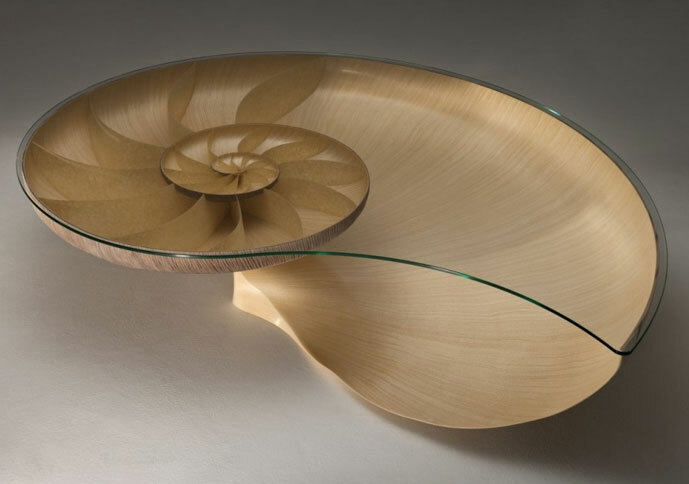 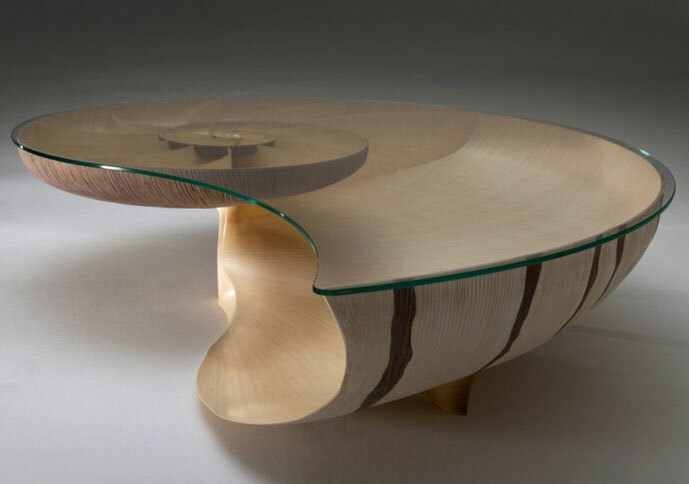 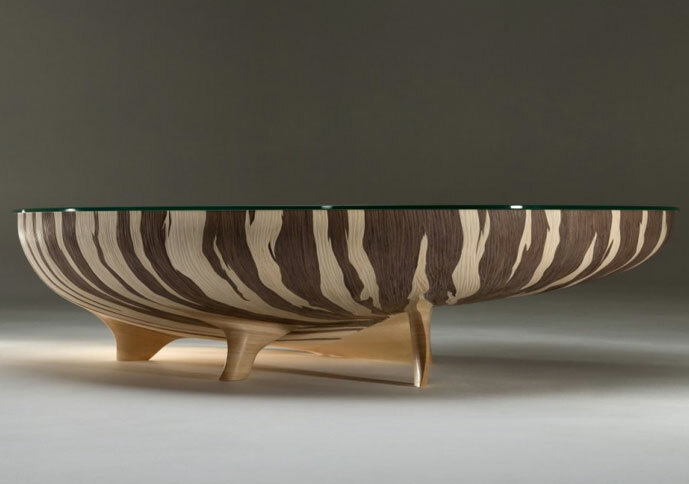 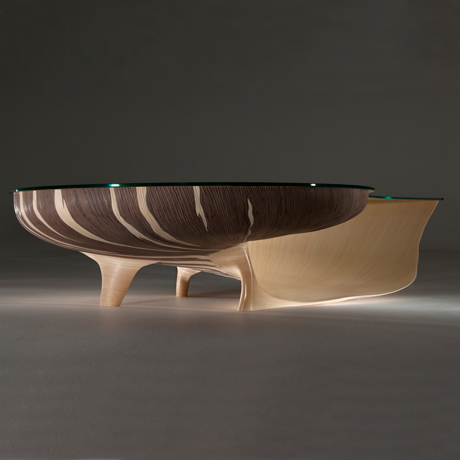 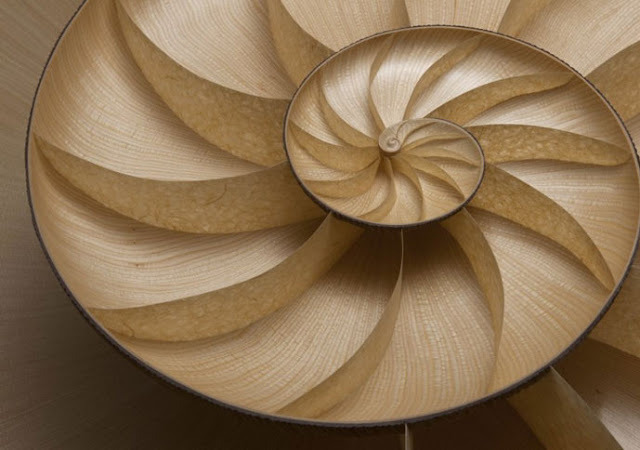 UK Furniture craftsman Marc Fish has created two table designs inspired by the Nautilus Shell. 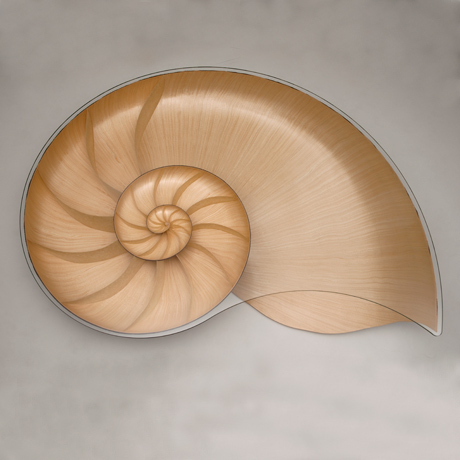 His first, Nautilus I, was designed and crafted in 2010-2011 and awarded Guild Mark no. 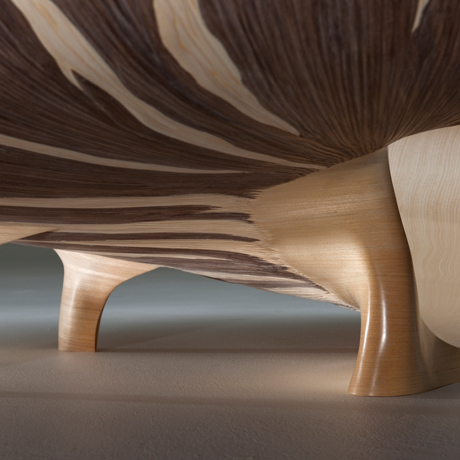 435 by the Worshipful Company of Furniture Makers. 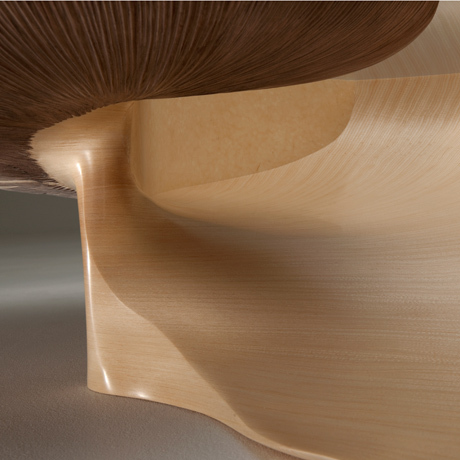 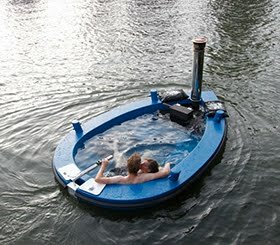 The Nautilus I has aluminium legs (photos are shown later in this post) while in Nautilus II, the base is formed of wood. 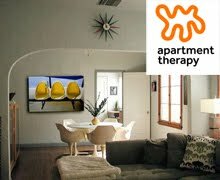 In Marc's own words he describes the brief as one calling for "a large statement piece, with maybe a hint of the sea - its location being a large loft style apartment overlooking the English Channel. 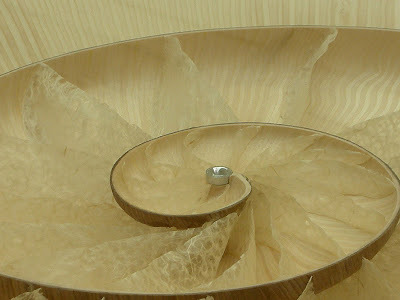 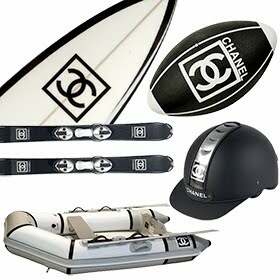 An open brief from the client is every makers dream- room to explore, experiment and innovate. 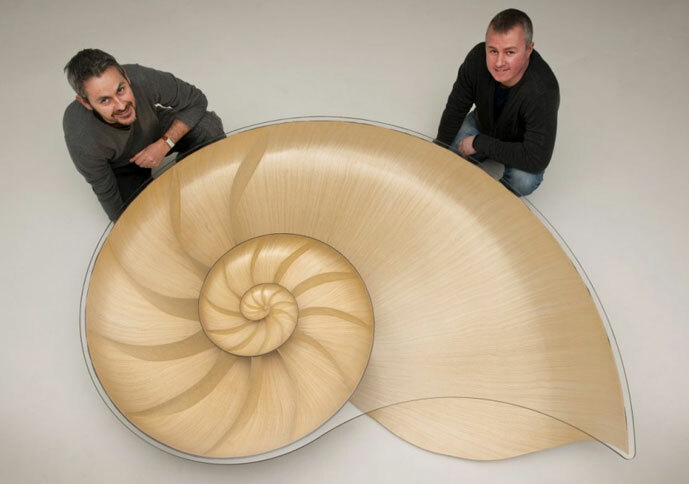 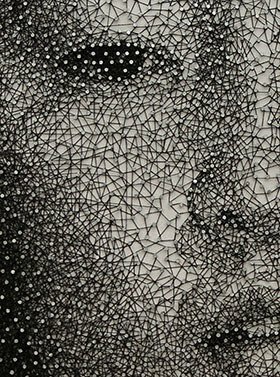 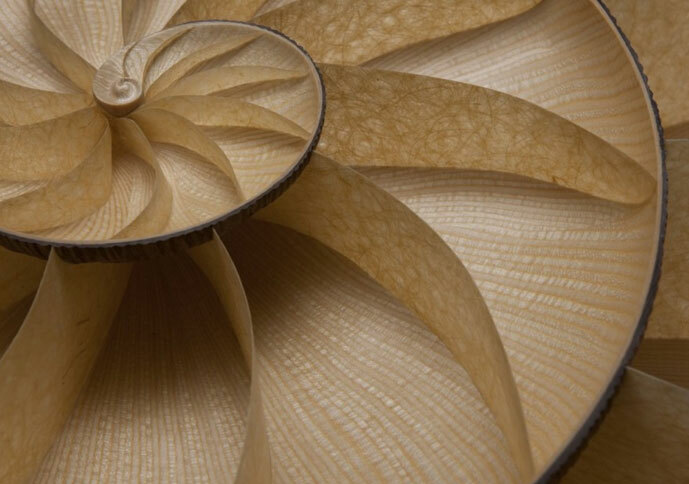 A new technique was developed to turn 4000 pieces of veneer strips into a 10 mm thick logarithmic spiral." 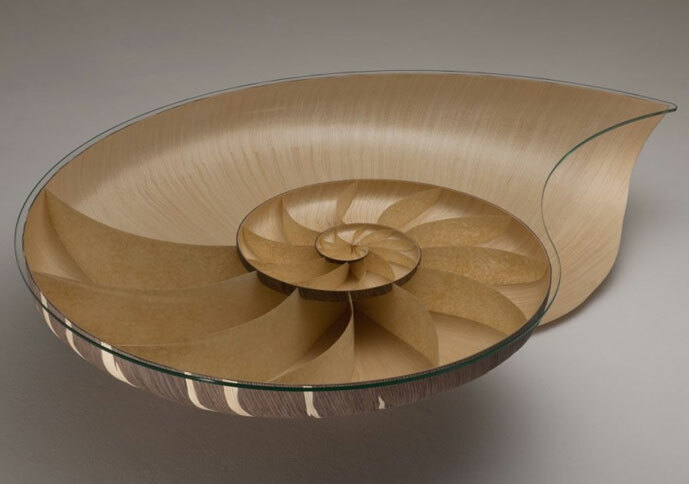 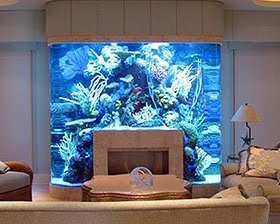 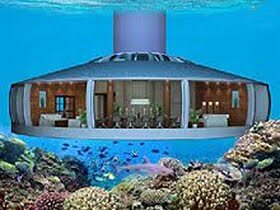 Materials used for the Nautilus I are Sycamore, Walnut, Japanese paper, glass and aluminum; for Nautilus II, Sycamore, Walnut and Glass. 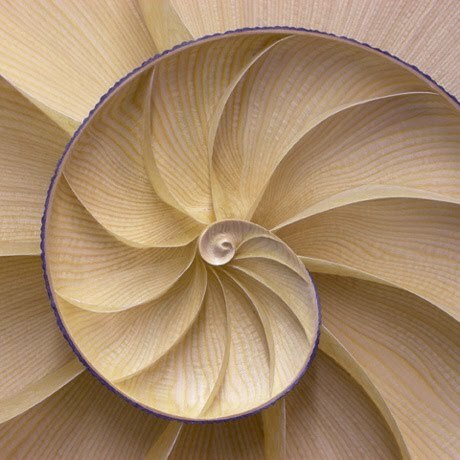 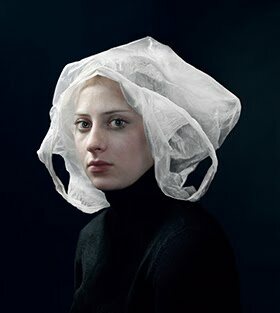 Each was produced in an edition of 5, each unique in colour and style. 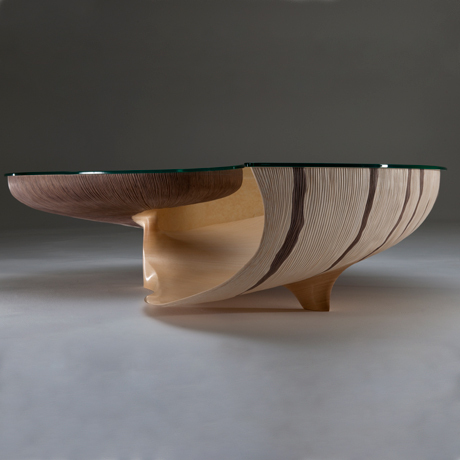 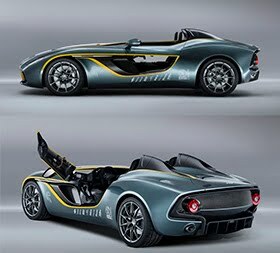 Edition of 5, each unique in colour and style. 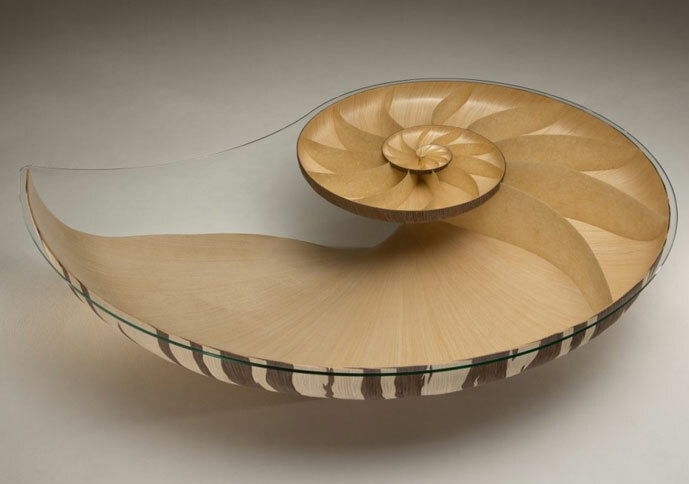 Height: 17.7" Width: 78.7" Depth: 59.1"
Nautilus No 1 was awarded Guild Mark no 435 by the Worshipful Company of Furniture Makers. 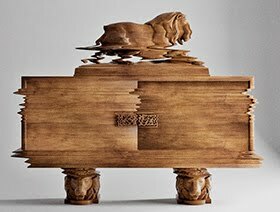 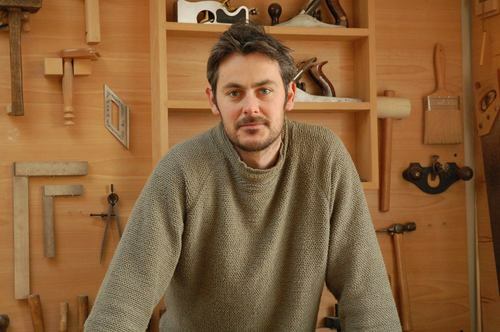 Marc Fish is a UK based maker of fine furniture using a mix of traditional cabinet making and contemporary furniture design. He also runs Robinson House Studio in Sussex, UK which provides furniture making and cabinet making courses including furniture design. 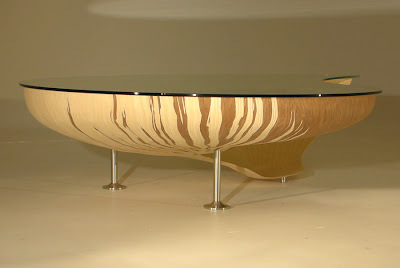 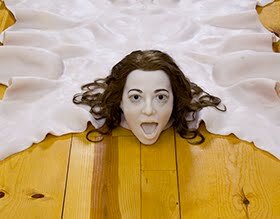 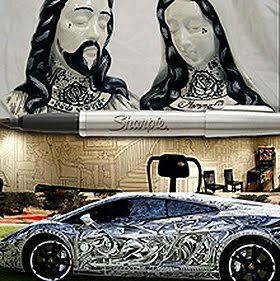 OMG, I love this table it's awesome.